Looking for healthy snack ideas for the kids’ (and big kids’) lunches or breakfast on-the-go? Search no more, I’ve got you covered! 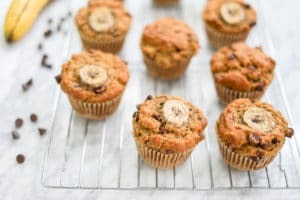 These Vegan Multigrain Banana Chocolate Chip Muffins are simple to make, contain real ingredients you can pronounce and good fat (olive oil), as well as being very low in sugar, have less gluten due to the flours used (makes it easier to digest) or can even be totally gluten-free, but with flavours like fresh banana and chocolate chips, everyone will love them! They’re super soft and fluffy too, and they’re great if you have members of your family that are allergic to eggs or dairy because they don’t contain any! They’re vegan and super nutritious! When you use very ripe bananas, especially organic ones, the natural sweetness from the fruit makes it easy to use less sugar! And if you want, you can switch out the sugar for maple syrup! As you know, eating breakfast is pretty important for everyone, but especially growing kids. Our bodies and brains need energy to perform properly. People often worry about proteins, but good carbs and fats are just as important, if not more, since our digestive system needs these in order to absorb and process the proteins we eat! 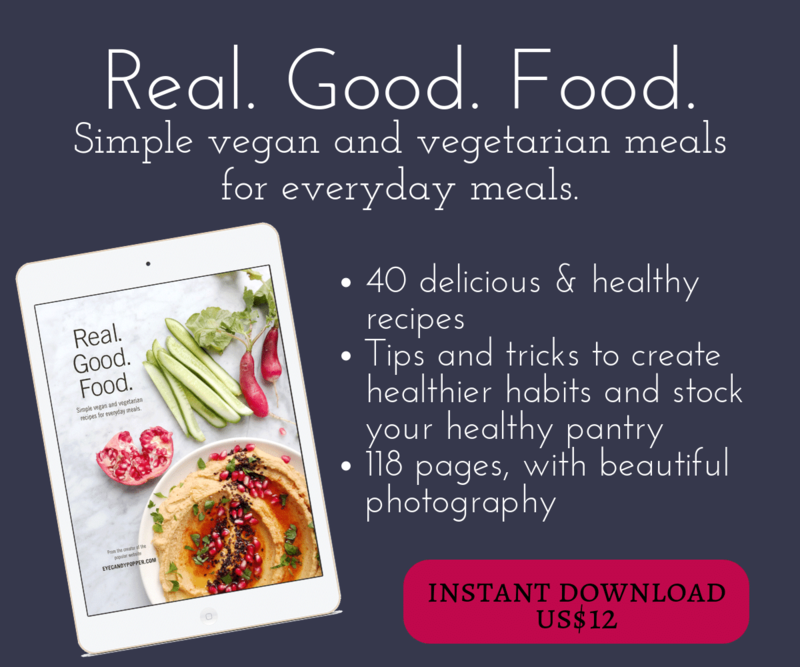 Our bodies are a wonderful eco-system that requires a variety of nutritious foods, so let’s not worry too much about one specific food nutrient, and just focus on using a variety of naturally healthy and nourishing ingredients that will help us achieve a healthier and happier life! P.S. You don’t need to follow a vegan diet to enjoy these muffins either. Adding variety to our life is key! Looking for more healthy muffin inspiration? Check out these Strawberry Maple Muffins, or these Oat, Apple and Almond Muffins, or even these Pumpkin and Chocolate Chip Muffins. A vegan multigrain banana chocolate chip muffins recipe that is simple to make and healthy. Great snack or breakfast on-the-go. Gluten-free option. In a large mixing bowl, combine the flours, sugar, baking soda, baking powder and sea salt. In a medium mixing bowl, mix the olive oil with the mashed bananas until well combined, then mix in the milk and the apple cider vinegar. Mix the wet ingredients with the flour mix, then add the chocolate chips and mix gently with a large rubber spatula. Distribute the mixture equally into 10 lined muffin cups (you want it to be filled to the rim or slightly more), and bake at 375 F for approximately 28-30 minutes, or until golden on top and springy to the touch. Transfer to a cooling rack for 5 minutes. Unmold the muffins. Serve them warm or at room temperature. They'll keep well at room temperature for a day or so, depending on how hot your kitchen is. If it's hot, put them in a paper bag in an airtight container or plastic bag, and keep in the fridge for up to 4 days. You can also put them in plastic bags and freeze. It’s suddenly cooler here, so muffins seem like a great idea. And these banana chocolate chip ones look very tempting. I love the different flours that you used, too! Thank you! It’s nice to play with different flours! These are great, especially given they are vegan! The Banana keeps them moist. Yummy! 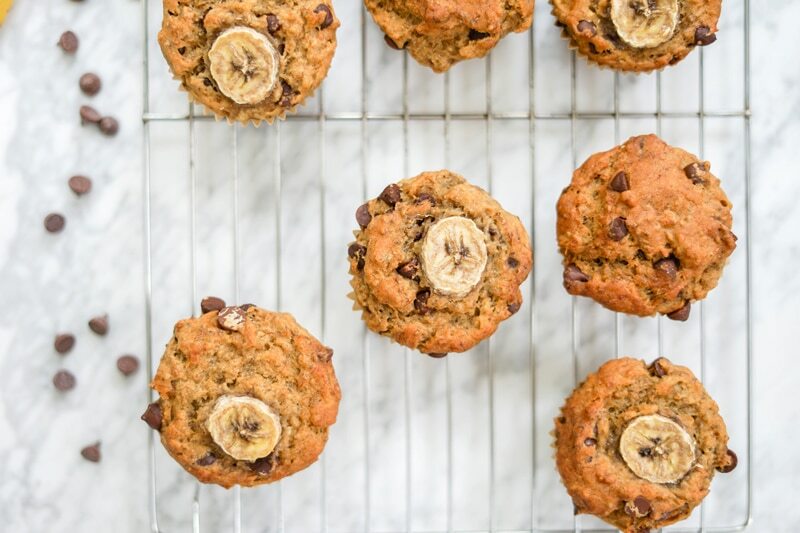 Your recipe for Vegan Banana Chocolate Chip Muffins looks so delicious and appealing. 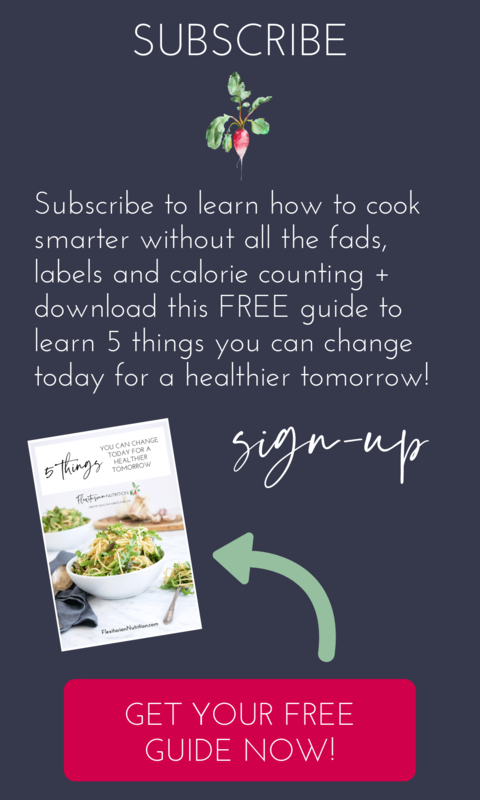 I enjoy your gentle way of teaching about healthy eating- it is inspiring. Thank you for sharing. I wouldn’t skip breakfast if my life depended on it! 😉 And I am not (as every Italian), “protein-obsessed” like the north American counterpart 🙂 . So these are just perfect for breakfast or snack for a grown-up kid like me 😉 . Love them! I freakin’ love chocolate chip banana muffins! And I love the addition of the sliced banana on top. I’ve already had breakfast, but I totally want one of these right now. Haha. 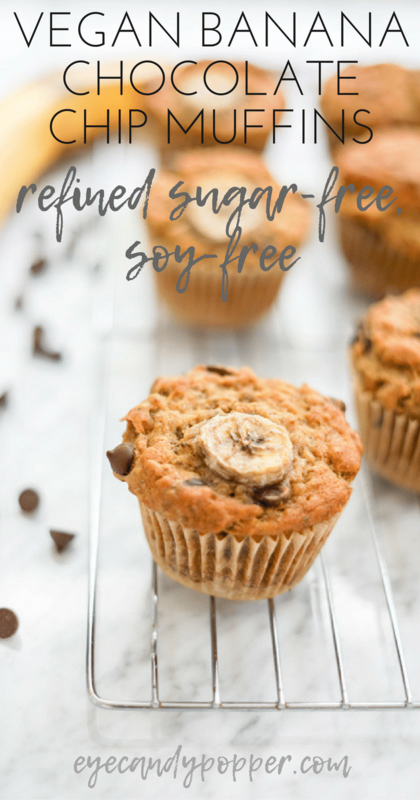 hahaha I’m not even a fan of banana baked goods, but these went down easy, so I know you’d love them! 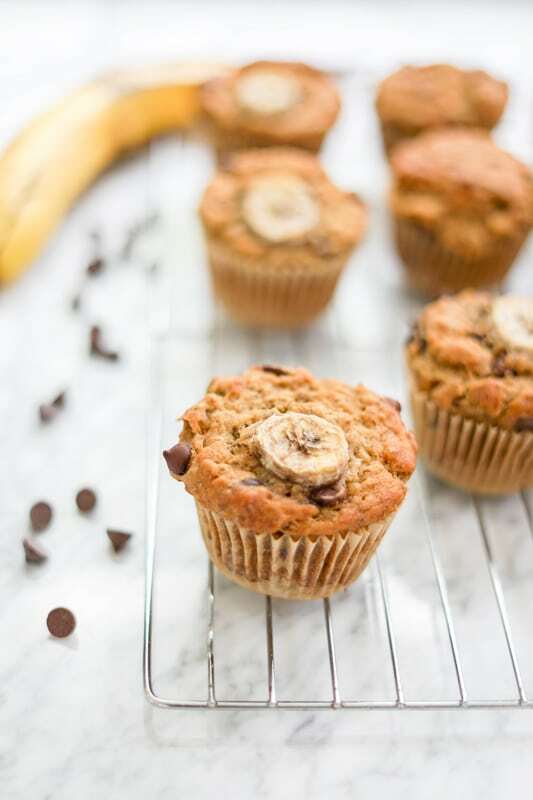 I could never turn down a banana chocolate chip muffin! Loving that you made them gluten free. They look excellent! I love a good banana muffin! I’m starting to bake more gluten-free so I love the idea of a low-gluten muffin. What a wonderful recipe. I love the flour combo you’re using here – my three favourites! Olive oil is my go-to in healthy baking, it has such a rich taste and coconut oil can have such dense results. Olive oil and banana always go really well together. Thank you! I love mixing flours, and I pretty much always use a good quality olive oil as well. It’s simple and much healthier than most oils. Glad you like it!